Discovery [JSE:DSY] announced late on Thursday afternoon that it was launching an accelerated bookbuild offering of new shares to raise up to R1.85bn. 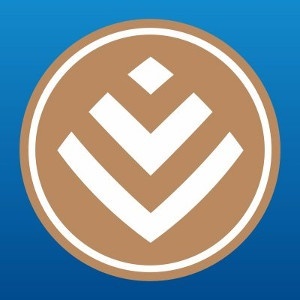 It will use the funds to buy out FirstRand Investment Holdings Limited's 25.01% interest in Discovery Bank, acquire the remaining 25.01% interest that FirstRand Bank owns in the Discovery card joint venture business, and acquire all rights to the Discovery card book and related assets. This bookbuild is part of the company’s plan to launch its own bank. In October 2017 Discovery announced that the Registrar of Banks had granted Discovery a banking licence. At the time the registrar proposed that the 25.01% ultimate crossholding in Discovery Bank by FirstRand should be reduced and ultimately exited. In September this year Discovery said it reached an agreement with FirstRand that it would "be preferable for FirstRand to exit [Discovery Bank] entirely as soon as practically possible." On Thursday Discovery said in a notice to shareholders that the placement was being made to qualifying investors only and was not an offer to the public. At the time of the announcement on Thursday evening the book was open and was "expected to close as soon as possible". "Pricing and allocations will be announced as soon as practicable following the closing of the book," it said. Discovery said that Rand Merchant Insurance Holdings, which currently holds 25% of Discovery’s ordinary shares, had indicated that they intend to apply for up to R464m worth of placement shares at the clearing price of the bookbuild.